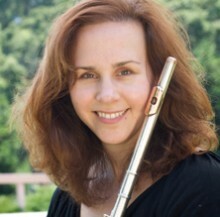 Amy Likar, flute and piccolo, has performed throughout the United States as a soloist, chamber musician, and orchestral musician. Amy is also a licensed Andover Educator and Alexander Technique teacher who has taught nationally and internationally. Amy is based in Northern California. You may contact her at info@amylikar.com.